Our range and knowledge span the early Land Rover series 2 and 3, Discovery, Defender, Freelander and Range Rover, through to the latest Range Rover Sport models. We stock genuine Land Rover parts as well as original equipment manufacture (OEM) and quality after-market replacement parts. Genuine - These are parts furnished by Land Rover and manufactured to the highest specification, ensuring maximum performance and reliability. Due to our sourcing skills we are usually able to sell genuine Land Rover parts at prices below the dealers' list prices. Original Equipment Manufacture - These parts are obtained from well-known manufacturing companies who supply Land Rover, such as Lucas, TRW, Bosch, Valeo, GKN, AE and Wabco. 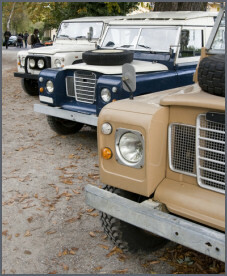 They are manufactured to the same quality and standards as the genuine Land Rover part. Therefore in most cases an OEM part will be identical to its genuine equivalent, purchased from the dealer. 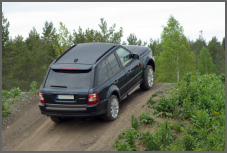 Quality Replacement Parts - Quality replacement parts are produced by other companies around the world to suit your Land Rover/Range Rover. Often there is a great variance in the quality of the manufacture and British Car Components is stringent in selecting only quality brands from around the world. 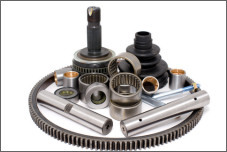 In many applications a quality replacement product can equal the performance of the genuine or OEM item. 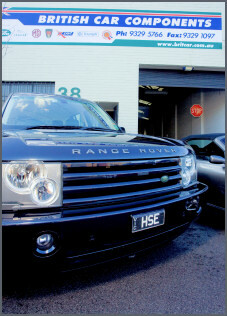 All of this means that BCC will have the parts to fit your Land Rover/Range Rover at a price that fits your budget. Having been involved in a new car dealership with Rover Australia selling Land Rover, Range Rover, MG, Jaguar, and as a Licensed Motor Car Trader for many years with this product I have had the pleasure of establishing a relationship with Graeme and his team at British Car Components. Their knowledge and friendly service supplying parts is quite incredible, with any parts not carried in stock supplied over night at affordable prices. They have come to my rescue many times.